The extended warranty It must be purchased the same time as Product. 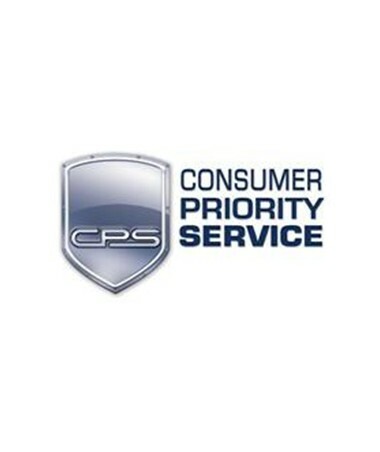 ConsumerPriority Service was founded on the belief that consumers deserve better service. Putting the satisfaction of the consumer at the forefront of our corporate policy has driven our company to be among the very best at post sale service both on and offline. Our lineup of consumer protection products can be found at Americas largest retailers as well as Americas best boutique shops. Although some of our Authorized Dealers compete with each other they all share one common belief Consumers Deserve A Better Service Provider. That is why your retailer has selected Consumer Priority Service, a place where you, our mutual customer, is Always Our Priority. ConsumerPriority Service Extended Protection Plans provides you with easy protection from potentially high future repair costs. Planning ahead and taking action now can save you the stress of dealing with unqualified servicer's should your product become defective. Saving time and money is in everybody's best interests. We are here for you. CPSProtection Plans are extensions of your manufacturer's written warranty plus a few added bonus features. Any malfunctions that would normally be covered within the terms and conditions of the original written warranty would be covered through the life of the Consumer PriorityService Extension. Our Shield Means You're Protected. All CPS plans are zero deductible. This means that ALL costs associated with Parts and Labor to repair your defective product are covered. Owning a CPS service plan means you're FULLY COVERED. With CPS you can file a claim for repair or replacement 24 hours a day 7 days a week through our consumer network. In-Home parts and labor protection plans provide service for your products at your home or your workplace. Contact us Toll-Free at 1-800-905-0443 so that we may arrange for a convenient service time for you. With our Express On-Site Upgrade plan, you can now upgrade any of our service plans to include door-to-door service. We'll pick up your defective product from your home or workplace, repair or replace it, and return it to you. Owning a CPS service plan virtually guarantees that you will get years of use from your product for the duration of the plan.